Image: St. Charles High School, St. Charles, Mo. 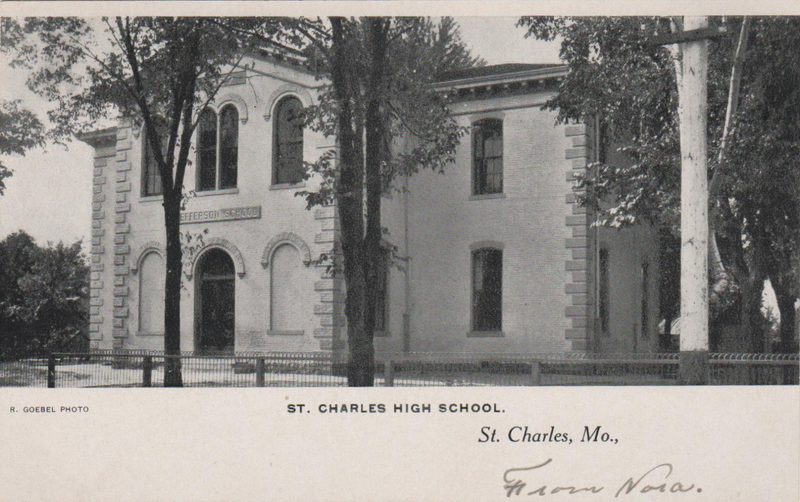 This postcard features St Charles High School, in St Charles, MO, which is essentially a suburb of St Louis, MO these days. 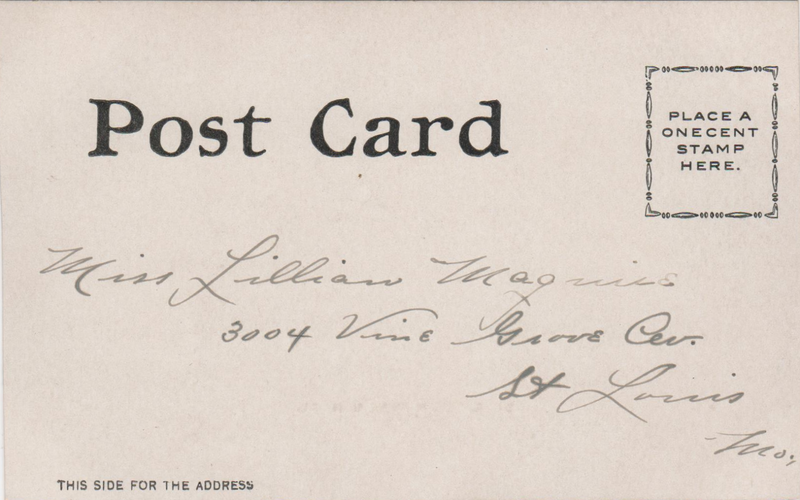 In the era of this postcard (and it is not dated, alas), it was surely a more "separate" city. Note that the name on the building is actually "Jefferson School", which became the name of the intermediate school in St Charles in later decades. The high school no longer exists in this location, being replaced by a very modern facility in a different location (along with the intermediate and elementary schools). The site of this building is currently a semi-industrial, semi-residential area. Isn't this a geourgeous ensemble? Such beautiful details. Perfect for afternoon outings, perhaps?